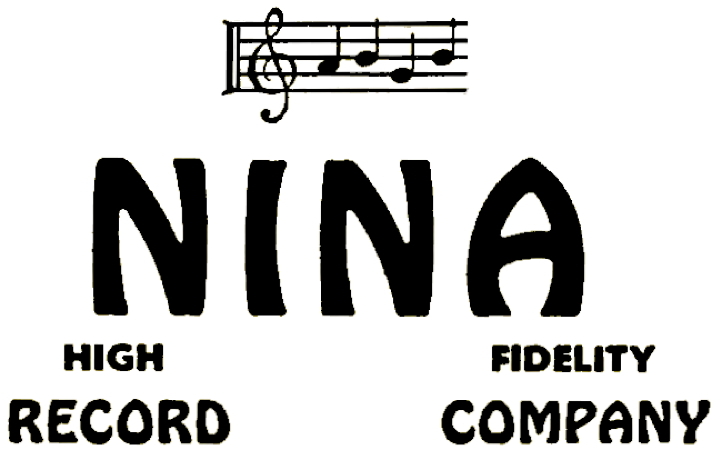 Nina Record Company was founded by Greek composer/musician Petros Nikolaou in the late 1950's. Initially based in the United States and later based also in Greece. L-57  The Flutes of Pan. L-58  Music of Greece. L-59  The Mysteries of Eleusis. L-60  Rhythms of the Sirens. L-61  Festival in Greece. 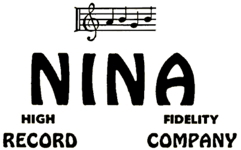 Nicos Tseperis with Nina Continental Orchestra. L-62  Bring on the Bouzoukee! L-63  The High Priestess of Popular Greek Music. L-64  Hellenic Folk Dances. L-65  Hookas and Houris  The Authentic Songs and Dances of Turkey. L-67  Bouzoukee Party. Poly Panou-J. Tatassopoulos-J. Stamatiou. L-77  Queen of Song Featuring John Tatassopoulos. N-24734  Gelmenden / Sehnaz Longa.